Here at ADAM and Mila, we are dedicated to helping you discover practical tips and ideas that are fun and educational for you and your child. That’s why we love block stacking, because it shows off so many of your baby’s brand new skills! 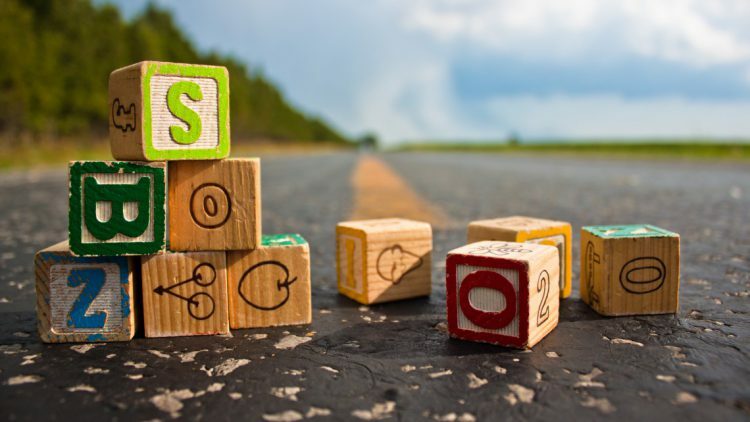 As well, your kids will love playing with their blocks day after day from early childhood well into their toddler years. Here are a few things your child is practicing when they stack blocks. 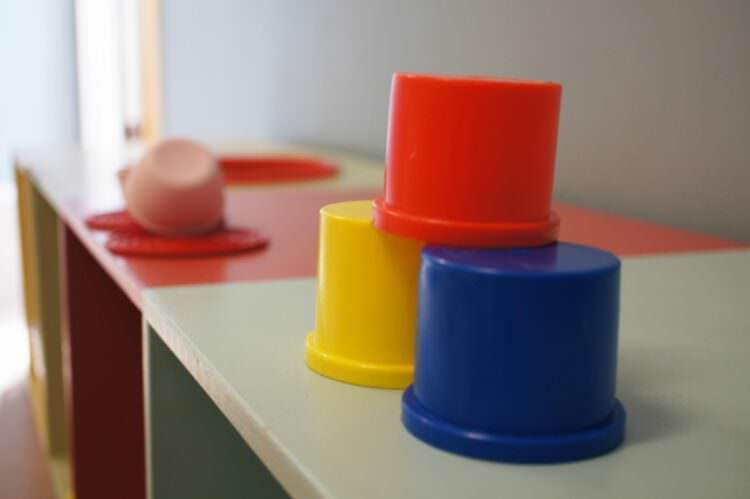 Interacting with and stacking building blocks or nesting cups is a sign that your child has developed good hand eye coordination. Hand eye coordination is the ability to take sensory input from the eyes and translate it to motions with the hands in order to navigate the world. This skill is essential to many daily life activities that your child will need to participate in as an adult. The use of the pincer grasp is the beginning of your child’s developing dexterity, and is important in allowing them to take part in manipulative play. The pincer grasp describes the grasp your child uses when they pinch an object between their thumb and forefinger. You’ll see your child using this grasp when they pick up blocks and stack them, and it gives them much more control than grabbing with their palm. Fine motor skills are the small, fine tuned movements we use to participate in more complex activities like writing, using silverware, and stacking blocks. Your child’s ability to interact in block play shows off these relatively new fine motor skills, which will be imperative to their success as adults. When your child starts to stack blocks, you’ll see them assessing “problems” (“How do you build something out of these blocks?”) and experimenting with solutions. They’re practicing problem solving skills and contributing to their cognitive development by stretching their brain. Activities like these make valuable educational games because they take more concentration than many of the other activities your child has been pursuing up until this point. Looking to peak your child’s interest in stacking? There are plenty of baby stacking toys and block stacking games that can make this activity interesting, fun, and fresh every time you and your child sit down to it. Consider some of these ideas. While plain cube blocks are the easiest for stacking, consider letting your child play with a variety of small objects. Objects of different shapes and sizes will present unique challenges and allow your child to build different structures. Once your child starts to get the hang of stacking, you can up the ante by making a game of it. Challenge your child either to compete against you (go easy on the little guy!) or to compete against their own best time in stacking as many blocks as possible without their tower toppling over. 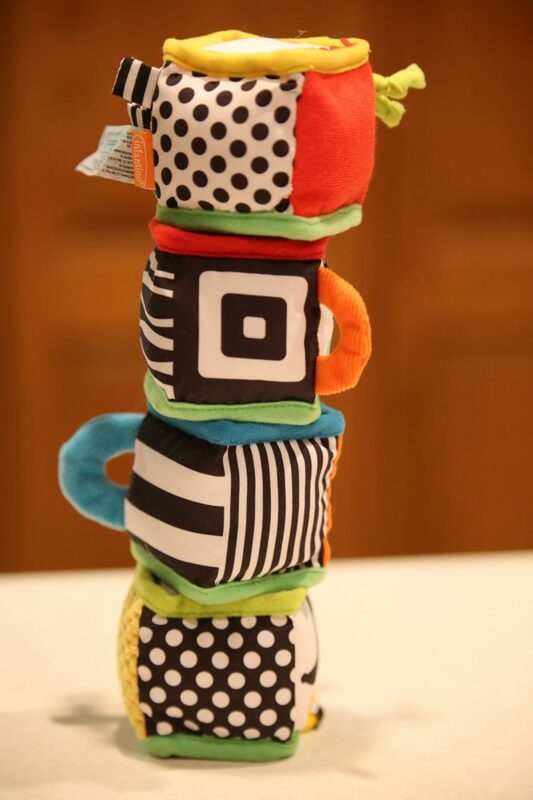 Baby stacking cups are just one fun alternative to more common stack toys like blocks. For you, the plastic cups are easily stored within one another. For your child, the cups present a fun new element of not only stacking objects on top of one another, but nesting them inside each other. This presents a challenge to your child to try to figure out which cups fit, and in what order they need to be stored to get them to all go together. Introduce another element to stacking games by asking your child to sort blocks by colors or shapes while they stack. They should be able to really get the hang of this by the time they are 18 months. While numbers and letters will probably be beyond their grasp at this point, recognizing patterns, shapes, and colors is a great way to help your child’s cognitive development. Social skills are an important part of your child’s development, and as they begin to be able to participate in more engaged play, playing with other children their age will become easier and more enjoyable. Try to present your child with opportunities to share their blocks and build things together with other children. Understanding your child’s milestones is a great way for you to prepare to support them through their development. To observe these milestones, all you will need is a set of at least 9 blocks. Your child will attempt to stack one block on top of the other, but does not let go of the block. If they release the top block, it will likely fall since he or she is unable to place the second block right in line with the first block. Often children at this age lack the ability to balance them. At this stage your child can stack two blocks without them toppling over. To observe this milestone, hand your child about four blocks of the same size and watch her play. If after some time your child does not attempt to build a tower, demonstrate how to build one for her first. Development Milestone emerges from age 16 to 18 months. At this stage your child can successfully stack three blocks without them toppling over. Development Milestone emerges from age 18 to 22 months. 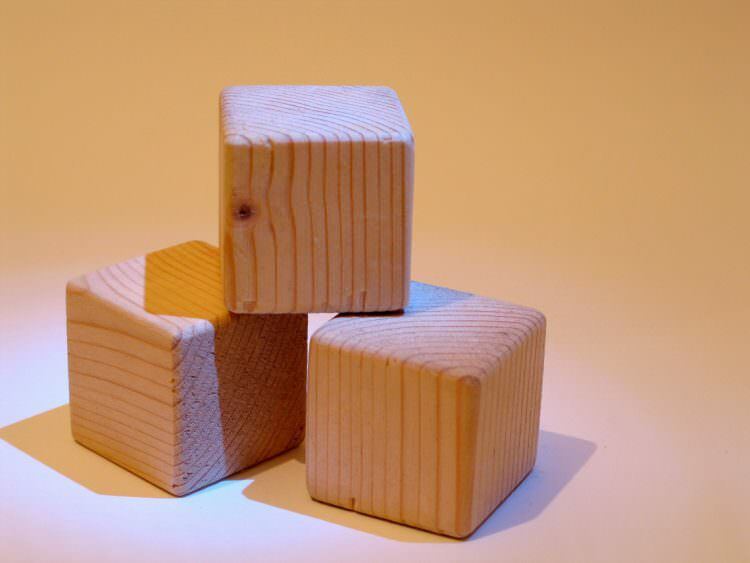 At this stage your child can successfully stack four blocks without them toppling over. Development Milestone emerges from age 22 to 24 months. At this stage your child can stack six blocks without them toppling over. Development Milestone emerges from age 23 to 26 months. Line three blocks end to end on the ground, and push them horizontally along as if they were a train. For this milestone, your child should be able to take the three blocks and create her own train. Development Milestone emerges from age 28 to 31 months. At this stage your child can stack eight blocks without them toppling over. Development Milestone emerges from age 31 to 36 months. Demonstrate to your child a three block structure by putting two blocks side by side and one sitting between and on top of them. You can tell your child that you are building a house. Your child will have developed planning skills that allow for imitation of this more complex structure. Development Milestone emerges from age 32 to 36 months. At this stage your child can stack nine blocks without them toppling over. There are so many more developmental milestones to discover! To learn more about your child’s development, check out our other articles on fine motor skills and baby developmental milestones. We love learning about and sharing beneficial learning activities that target developmental milestones, and we have an entire collection of these types of activities on our website. It’s a lot of fun to watch your children learn and grow, but it can also present concerns and anxieties that all parents deal with. Is my child growing fast enough? Is my child’s behavior normal? We’ve all been there, and in the age of online parental communities, there’s never been more support and information available to parents. We’ve created an actionable guide about developmental delays, as well as when to and when not to worry. We hope you enjoyed this article, and that it was helpful to you! Please leave us feedback in the comments below so we can understand how to better serve you and your needs. If you liked this article, please pass it along to another parent so that we can continue to spread helpful information to more families. Letter U Activities Lots of fun ideas for teaching the letter U using sensory and fine motor activities with craft printables. What you are attempting to measure with this milestone is the fine motor skills involved in placing and balancing the blocks. It is no surprise that he likes Legos, I never met a kid who didn’t. Try though to determine if the reason he doesn’t like the regular blocks is that they are “too easy” or “too difficult”. Toddlers are usually very keen to use their skills and will avoid doing things that are too easy, but they will also shy away from things that are too hard. Legos are great, so just let him play with those – and encourage him to challenge his abilities. How tall a tower can he build? can he imitate what you are building?